Posted August 31, 2018 by Astrid Mallet & filed under Clients, Fitness, Food, Lifestyle, Uncategorized. 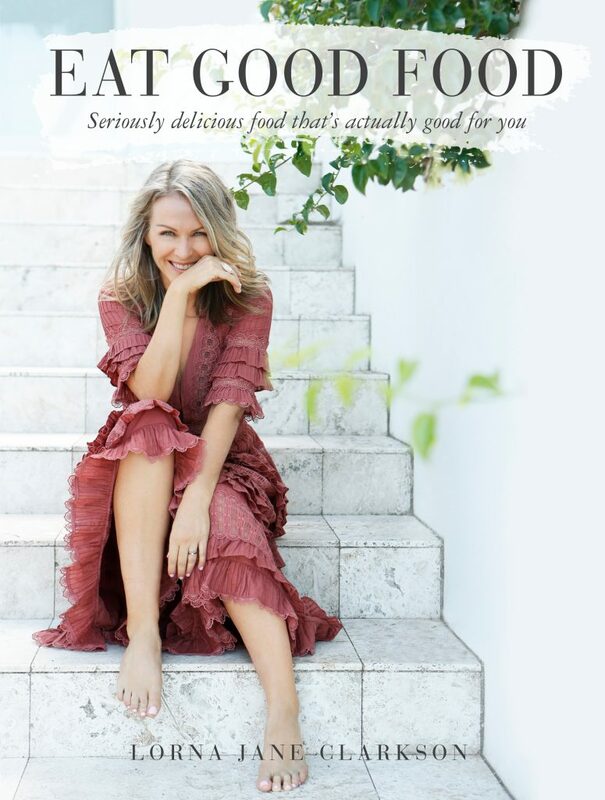 Lorna Jane Clarkson, an Australian fitness guru and activewear designer of multi-awardwinning brand Lorna Jane, has published her second cook book ‘EAT GOOD FOOD’. Lorna is showing us again how simple making healthy choices can be and how food can be both delicious and nutritious at the same time. In the book, Lorna shares more than 150 of her favourite recipes, tonics, elixirs and smoothies – as well as her tips and tricks to making healthy living super easy and delicious. “I wrote this book to show you that being healthy doesn’t have to be about calorie counting, deprivation or boring food. And that all you have to do to feel vibrant and full of energy is to EAT GOOD FOOD,” Lorna says. The book reflects Lorna’s passion and mission to inspire women to live at their best lives – and it all begins with food. “Because when you start to eat well, you’ll find that you have more energy to workout, you’ll think more clearly, have a more positive mindset, feel happier and have a body that is capable enough to do all of the things you want to achieve in your life. What you feed yourself today can change you tomorrow,” she says. Here are two delicious recipes from the book that will get you started with your new, healthy life! Place quinoa and stock in a medium saucepan; bring to boil. Reduce heat to low-medium; simmer gently for 15 minutes or until most of the stock is absorbed. Remove from heat, cover and stand for 5 minutes. Meanwhile, cook eggs in a small saucepan of boiling water for 5 minutes. Remove immediately from pan and cool under cold running water for 30 seconds; peel shells. Heat coconut oil in a medium saucepan over medium heat. Add garlic and chilli; cook, stirring, for 2 minutes or until fragrant. Add kale and silver beet; stir until wilted. Stir in quinoa and juice. Season to taste. Combine parsley, sesame seeds and salt in a small bowl. Roll peeled eggs in parsley mixture. 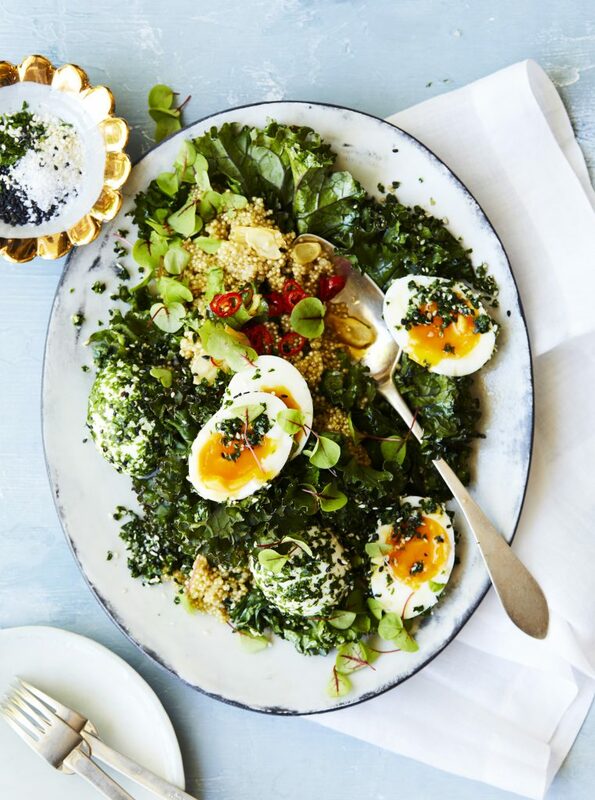 Serve green quinoa topped with halved eggs. Sprinkle with micro red vein sorrel or extra parsley if you like. *LORNA’S TIP: “You will need half a bunch of kale and half a bunch of silver beet for this recipe; wash well before use. 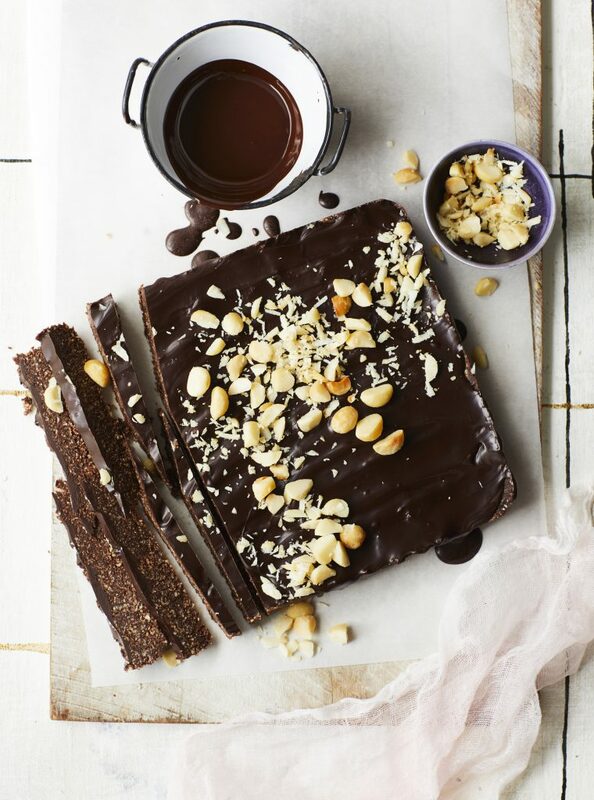 Grease and line a 20cm (8in) square cake pan with baking paper. Process almonds until finely ground. Add coconut and dates; process until mixture forms a soft paste. Add cacao, salt, maple syrup and cocoa butter; process until smooth. Press mixture into pan. Place chocolate and coconut oil in a small heatproof bowl over a small saucepan of simmering water (don’t let he water touch the base of the bowl!). Stir until chocolate mixture is melted and smooth. Spread chocolate mixture over base in pan; sprinkle with macadamias. Refrigerate for 1 hour or until firm. Cut into 30 pieces.